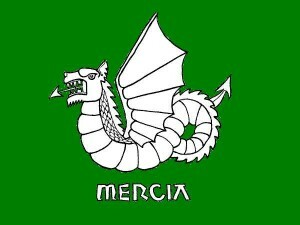 We, representatives of the Mercian Constitutional Convention, have assembled here today in the heartland of Mercia to reaffirm and declare the legal independence of the region under The Constitution Of Mercia, which we have now published and which is available to all the people of the region upon request. We have spent over two years in careful deliberation and embrace this Constitution in order to re-create Mercia as an autonomous region, constructed as an organic democracy, based on holistic principles. Mercia developed in the valleys of the upper Trent and its tributaries in the sixth century and gradually expanded to its natural boundaries to form the middle lands of England. In 1066, Mercia was one of six earldoms which comprised the non-expansionist confederation of England and operated as an organic democracy. Most Mercians lived as freemen in stable subsistence farming communities, which were bonded by common customs and traditions, kinship and co-operative effort on the land. They also held a great respect for the environment and Mercia was an extremely wealthy region, both in terms of its soil fertility and agricultural production and of its creation of magnificent jewellery, tapestries, manuscripts and literature. However, historic Mercia was annihilated by the Norman invaders after the Conquest in 1066 and its territory, along with that of the other English regions, was forcibly added to the Norman Empire. The Conquest also destroyed the region’s ancient organic democracy and imposed an hereditary absolute monarchy in its stead, under which the people were reduced in status from freemen to ‘subjects of the crown’. New hierarchical political and social systems ensured the suppression of the indigenous people and the imposition of the Norman feudal system marked the origins of the iniquitous modern class system. English community law was replaced by a centralised system of courts, where arbitrary punishments were decreed, and, following the Conquest, vast numbers of English people were murdered by their alien masters. The conquerors regarded England as a source of plunder and therefore decisively altered the human relationship with the land thenceforth into one of exploitation. Today, little has changed, despite the persistent efforts of the radical political movement extant in England for almost a millennium which has campaigned to free its historic and natural regions from the illegal and suffocating control of the authoritarian forces of the United Kingdom. Therefore, Mercia remains locked inside a crumbling empire, which shows little inclination to release the English regions from its weakening grip. The anachronistic hereditary monarchy continues to thrive and symbolise the impotence of the millions of Mercian ‘subjects of the crown’, who are obliged to fund it , whilst only small concessions to real democracy have yet resulted from the determined efforts of countless English radicals over the centuries. The class system remains essentially intact so that the rich live in luxury whilst homeless people beg on the streets and the environment is currently being abused at an even faster rate than it was during the last millennium. Consequently, destructive individualism, centralisation and generalised economic growth are leading the region and its people further down a blind alley into disaster. This can only be averted by the formation of the new holistic society outlined in The Constitution Of Mercia, based on organic democracy, co-operative community and ecological balance, the selfsame principles that formed the bedrock of the sustainable society of historic Mercia. Although almost a millennium has passed since Mercia existed as an autonomous entity, recognition of the historic region has remained remarkably strong. Mercia gradually became better known as the Midlands, but remains a rich farming area and therefore still constitutes a highly sustainable region. Mercia also forms a viable region culturally and Midlanders generally see themselves as belonging neither to the north of England nor the south. Despite its natural unity, Mercia was unlawfully dismantled by foreign conquerors and The Constitution Of Mercia consequently reaffirms its legal independence. Furthermore, the production of the Constitution and this declaration of independence are part of a programme of positive action aimed at the de facto re-creation of Mercia as an autonomous and sustainable bioregion within an English confederation. It was hoped that this might be achieved through a process of negotiation with the relevant representatives of the UK, especially following the election in 1997 of a government committed by its manifesto to ‘the democratic renewal of our country through decentralisation’ and to ‘decentralise power throughout the United Kingdom’. This was put to the test in January 2000 when the Mercia Movement sent letters to the key agents of political control in the UK, requesting joint meetings to discuss fully the future of the region. However, none was willing to enter into any such discussions and their refusal thereby revealed the hypocrisy of the government’s professed commitment to democratic regionalism. Therefore, a draft Constitution was produced without their assistance in January 2001 and circulated as widely as possible across the region. This led to the formation of the Mercian Constitutional Convention on 17 March 2001, which amended the draft to enable the production of The Constitution Of Mercia. We hereby declare that this Constitution is now the ultimate legal authority in Mercia, but that it remains subject to amendment by the people of the region. Furthermore, we reaffirm and declare the legal independence of Mercia, which will comprise its historic twenty shires (Bedfordshire, Buckinghamshire, Cambridgeshire, Cheshire, Derbyshire, Gloucestershire, Herefordshire, Hertfordshire, Huntingdonshire, Leicestershire, Lincolnshire, Middlesex, Northamptonshire, Nottinghamshire, Oxfordshire, Rutland, Shropshire, Staffordshire, Warwickshire and Worcestershire) or such of these that find a common Mercian identity and wish to be included in the region. Finally, we hereby proclaim that the Constitutional Convention has now become the Acting Witan of Mercia, to spearhead the full democratisation of the region and the re-establishment of its de facto independence under The Constitution Of Mercia. Long live free Mercia!